Escape Dead Island is ranked in the 4th percentile of games scored on OpenCritic. Escape Dead Island questions how we perceive reality, alongside questionable zombie-killing and stealth. Escape Dead Island is an unnecessary spinoff to a franchise that deserved better. The awkward melee, flawed stealth and erratic shooting produce a bland adventure. 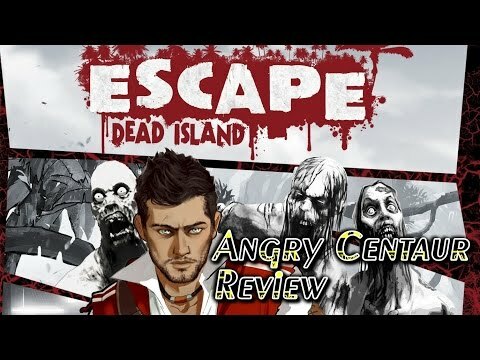 Escape Dead Island is a game with a lot of potential that ultimately disappoints. Escape Dead Island completely ignores what makes a Dead Island game fun: there's no sense of dread and the highly enjoyable crafting system is nowhere to be seen. Hell, there's not even a co-op option. What we do have is a boring linear experience with one-dimensional characters and rickety combat. After beating Escape Dead Island, I'm still not sure what the game was trying to do. It stripped out the parts of the Dead Island franchise that were fun and didn't present anything good to replace them. The combat was frustrating, and only made me wish the stealth actually worked. Cliff's hallucinations were the only interesting thing about him or the story, and that doesn't say much. Escape Dead Island complements the mainline series' plot well, but doesn't shine in the process. With poor writing, cringeworthy dialogue and mechanics that are merely stolen from other games, it's far from anything to write home about. Still, even with these issues, it manages to be relatively fun and somewhat interesting throughout its six to eight hours. I've played far worse games than this. 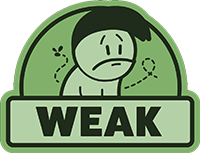 I encountered no egregious, game-breaking glitches, and for as exanimate as the combat and stealth mechanics are, at least they're functional, as inoffensive as they are unimpressive. But it's just so completely, exhaustingly boring. There's nothing to it. All in all though I can't think of a single reason you'd want to play Escape Dead Island over a thousand similar, better games on Steam. Most of them have zombies in them anyway. Escape Dead Island disappoints on multiple levels, from its lackluster gameplay, to its awful storytelling. The revelations found in this game are not profound enough to justify the long slog, filled annoying characters and lousy stealth and combat systems. Not to mention the ending is insultingly stupid and lazy. The best way to escape this island is to never visit it. 'Escape Dead Island' is more or less playable from a technical standpoint. I wish I could praise it more than that. It has almost no redeeming qualities, no personality to speak of, and really isn't fun at all. Many of the design decisions are inscrutable. The 'Dead Island' series is not the best zombie gaming experience out there, but the previous two titles are at least worth playing. This one is not. The first Dead Island was absolutely ridiculous and quite flawed in my opinion, but because I can feel the love that went into the game and thus the care, it's a blast to play in some areas because the developers cared if I had fun. Unlike its predecessors, Escape Dead Island feels devoid of heart or identity. It is a cruel reminder of the shovelware that plagued the PlayStation, PlayStation 2, and the Wii and behind its generic facade hides a malnourished newborn of a game starved for nutrition and attention. The crux that comes out of this review is that you are better off waiting for this game to be in sale rather than purchasing it right now, and even then those tired of zombies would be strongly advised to steer clear. Deep Silver has unfortunately overseen the Dead Island series take a serious dip in quality throughout 2014, but we remain hopeful that things will get back on the right track with Dead Island 2. Escape Dead Island never manages to create anything impressive, with very little in terms of redeeming qualities. It tries to stand out from the other installments in several ways by taking on a new direction, but it ends up providing a frustrating and bland experience that is easy to recommend skipping. This spin-off is the unambitious median point in a triple-A market saturated with zombies and stealth-action games that have narrative aspirations. A game world that feels like a real place isn't necessarily the end all be all, but in this game's case, it helps you feel welcome. This is a game so devoid of merit that I refuse to play any more of it. I haven't completed the campaign and I'm not sure that even the most brilliant plot twists in the history of gaming (and the writing indicates that to be as remote a likelihood as Valve going out of business) would make me change my rating of this game. Escape Dead Island squandered whatever opportunity it had to make a compelling story, while offering only sub-par gameplay to tide you over in the meantime. It has no business being a game, rather than a one-shot graphic novel for dedicated fans.